​*Please note, this has nothing to do with scale modelling! 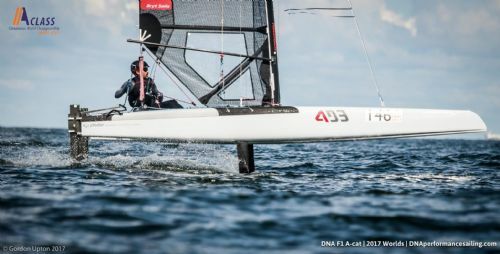 Knowing the exact angle of attack of rudder winglets is crucial to optimising the performance of a high end sailracing catamaran, even more so now that the boats are regularly getting up on hydrofoils. 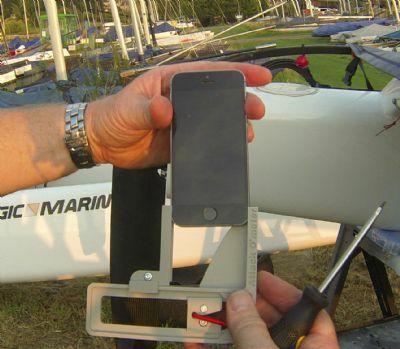 The Attack-O-Meter is a smartphone holder which allows the user to accurately measure the angle of attack of rudder winglets as fitted to full-sized high-performance sailboat rudders, such as on the 'A' Class Catamaran.